begins this Saturday (30th June) with events from 3pm in the Palace grounds. With music, stalls, activities, and cream tea in aid of The Friends of St Martin’s, do support this community occasion. 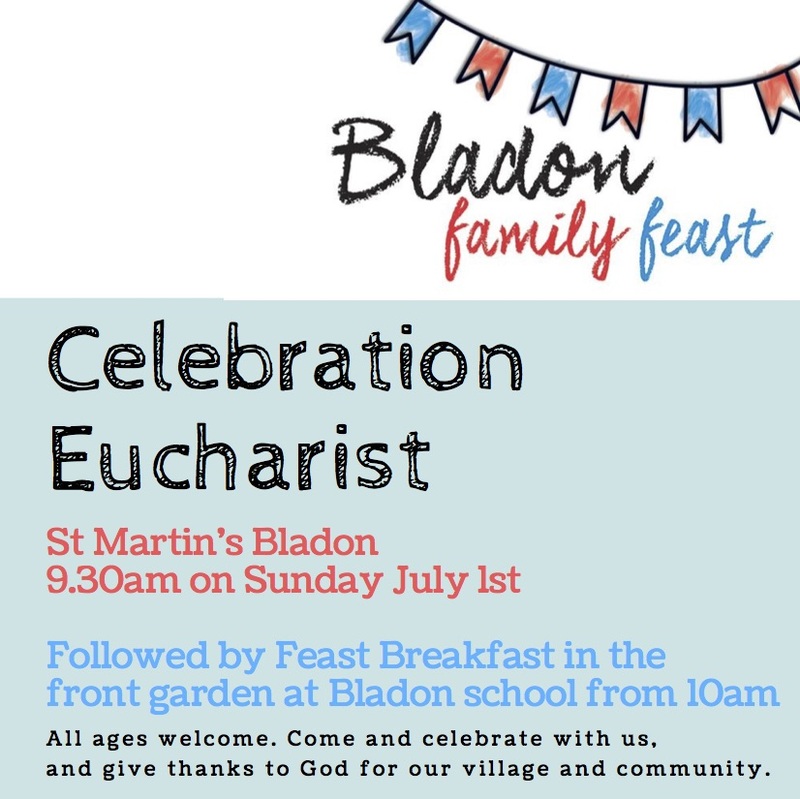 Festivities conclude with a breakfast in the school garden on Sunday 1st July, directly after our 9.30am service at St Martin’s, which will be a family Eucharist, celebrating Bladon and giving thanks to God for our village and community.